The last time you made a purchase, how did you pay for it? I’m guessing you used your credit card. Most of the time, for purchases as small as a cup of coffee to a luxury hotel stay, and everything in between, consumers are used to pulling out their credit card. Credit cards are so widely used, so easy and reliable, that most of us use them every single day, and take them completely for granted. These days, consumers almost never stop to think about how, every time we swipe a card at a cafe or store, we aren’t actually paying; we’re getting instant access to financing. That purchase goes on our credit card statement and we can decide whether to pay it off in full at the end of the month, or pay off our statement over time, with interest. It’s all the same to the merchant, since they get paid immediately. Business-to-consumer (B2C) payments weren’t always so seamless. In the 1950s, merchants regularly extended credit to their customers, but they had to do it the old-fashioned way. In the pre-digital, pre-credit card age, small businesses kept track of their accounts receivable by maintaining paper files and IOUs from all of their regular customers. It was a time-consuming, unsustainable, unreliable system, vulnerable to fraud and human error. In 1958, the credit card was officially invented by Joseph Williams, a middle manager at Bank of America. The rest is history: credit cards, backed by major financial institutions, swept the country. According to recent data from the Federal Reserve, the total U.S. outstanding revolving debt, which is mainly made up of credit card balances, was $953.3 billion in 2016.
Credit cards quickly won over consumers with their convenience. Meanwhile, sellers loved that they could sell more and sell quicker, all while getting paid right away, at the moment of sale. This win-win situation did not immediately extend to the business-to-business (B2B) world, however. Far from it; the B2B segment of this transformation has barely even begun. Sources cite that anywhere from 10% to as little as 1% of B2B transactions happen on credit cards, even though credit cards have become the preferred payment method for consumers. Of course, that doesn’t mean that B2Bs don’t use credit. Quite the opposite. Today, B2Bs often act like banks, extending credit terms to customers all the time in order to keep their revenues flowing. In the B2B world, the practice of extending credit is described as offering Net-30/60/90 payment terms. It’s also known as “trade credit” or as “Net terms.” They do this without the benefit of backing from financial institutions, and at great cost to their own health and security. Why do they do it? Because until recently, extending net terms has been part of the requirements for B2Bs to remain competitive at all. In the U.S., 43% of the total B2B sales value is transacted on credit. Offering credit allows sellers to facilitate a greater volume of sales and larger purchases by customers who often don’t have enough cash on hand. When we’re talking specifically about small businesses who sell to other businesses (SMB2Bs), those customers are also businesses with a significant amount of cash trapped in accounts receivables. 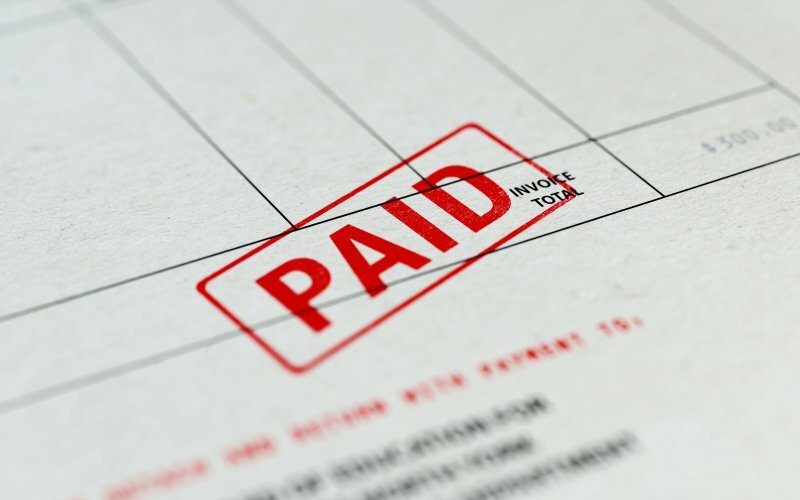 A study of internal Fundbox user data (including an analysis of 20 million small business invoices) indicated an incredible 64% of small businesses are forced to wait for late payments. One of the main reasons that SMB2B buyers rely so heavily on having additional time to pay, is that they are largely financially underserved. Even though small businesses comprise the majority of businesses in the U.S. and account for half of all private-sector employment, they often hit obstacles when attempting to access credit through conventional channels. Small businesses are tremendously diverse in their size, business activities, and needs, and therefore a one-size-fits-all financial approach simply doesn’t work. With incomplete metrics and manual underwriting processes, traditional credit models are simply insufficient to serve the needs of small businesses. Yet banks still rely on incomplete consumer models and metrics such as business owners’ personal FICO scores to be the main factor in credit decisions. SMB2Bs may not have to put up with this frustrating situation much longer. Over the past several years, we’ve seen the rise of big data analytics and machine learning, combined with a rapidly growing amount of information available and an accelerating speed at which we can analyse that data. What this all means, is that modern lenders can start to base their credit decisions on a much more holistic picture of business health. Nontraditional fintech lenders, using artificial intelligence and sophisticated risk models, can now use data sources, such as accounting software and business bank accounts, to achieve a more complete and realistic understanding of the health and performance of a small business. This then allows fintech lenders to return reliable lending decisions to businesses previously shut out of access to credit. Since modern underwriting processes are AI-driven and do not rely on manual labor, lenders can also drastically increase the speed of decisions, often transferring funds to approved businesses within a single business day. For years, SMB2B commerce has been needlessly burdened by outdated lending standards, as small businesses everywhere struggle to access the credit they need. Thanks to innovations in fintech, the vision of a faster, fairer lending landscape for small business owners is rapidly becoming a reality.